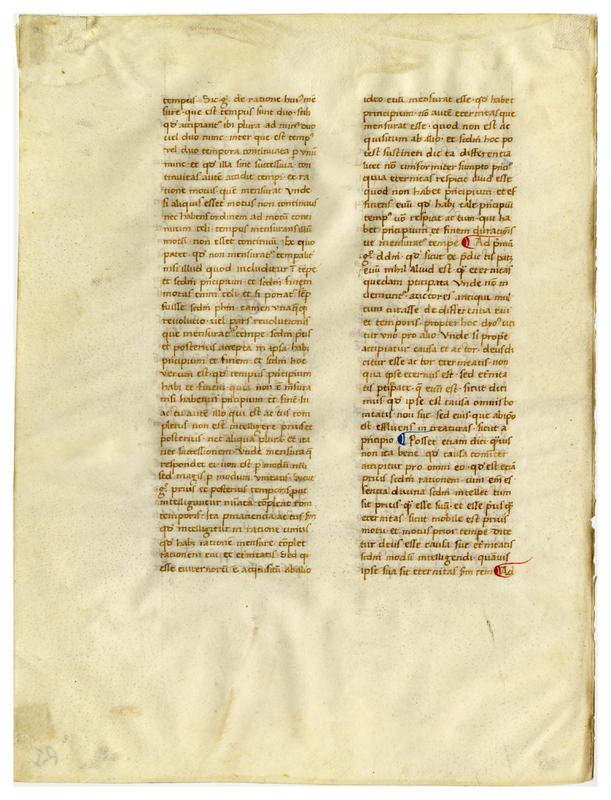 Denison already owns a leaf from this same source manuscript (Fifty Leaves from Medieval Manuscripts, item 40). Other loose leaves are owned by the University of Minnesota, Fordham University, Smith College, Oberlin College, the Rhode Island School of Design, Winthrop University, and the University of Utah. Of special note are the tape remnants, which suggest this leaf has been removed from one of Ege's red-lined mats. 300 dpi, JPEG file. 288x210 mm, written area 178x130 mm. 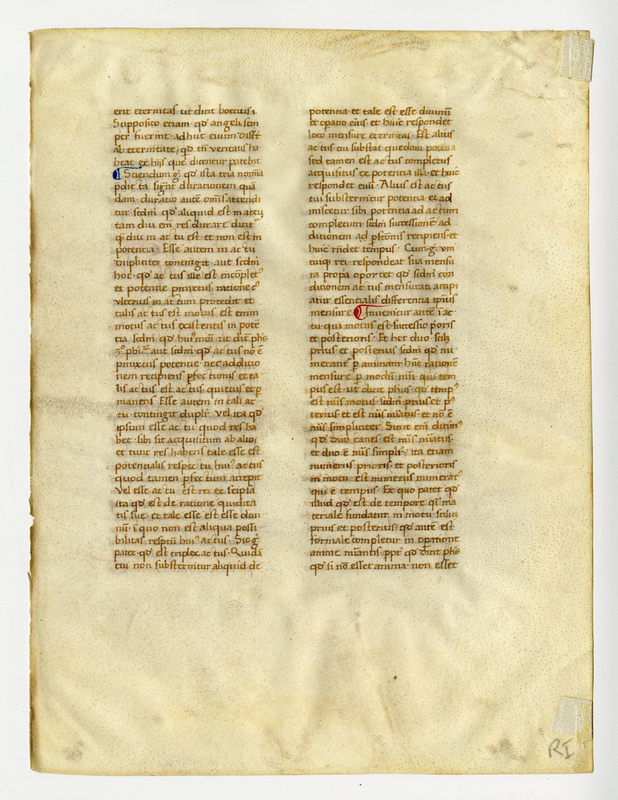 Double column, 37 lines, beginning "-erit eternitas ut dicit Boetius." Loose. “E0101 Leaf from an Italian copy of Thomas Aquinas' Commentary on the Sentences of Peter Lombard,” Digital Exhibits | Denison University Archives & Special Collections, accessed April 23, 2019, http://exhibits.denisonarchives.org/items/show/6.